With the old idea of a sales funnel smashed, now we have to replace it with some other model or understanding of how people buy. We’ve introduced the cyclone concept and the collection of cycles that represent the torrent of information influencing buyers. Specifically, we designed the Cyclonic Buyer Journey™ (pictured below) to help marketing and sales pros learn the new techniques required to strategically drive revenue growth and insert the influence needed to deliver the flow of leads, sales opportunities and new customers necessary to hit your revenue goals. Despite all of the fancy new vocabulary and groundbreaking thinking, we’re still faced with the same challenge: How do we deploy the set of tactics and tools at our disposal, with this new model as the strategy behind our tactics? 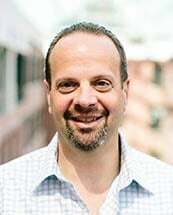 Good news, we’ve been aggressively working on this challenge for the past six months, and with Square 2 Marketing as our living and active lab environment, we’ve been running tests and experiments to help our clients understand the changing tactical environment and use it to optimize results and drive revenue. Here’s how we deploy tactics to support the new buyer journey for our clients. No matter what products or services you offer, right now people could use them, but they’re unaware that they have an issue or challenge. They are predisposed to thinking that they don’t need what you do. They’re not looking for companies like yours, and even if you think they could benefit, they’re not open to hearing from you. People in this cycle are considered pre-awareness. They’re not aware they need you or what you offer, and they might not even be aware that you and your solution exist at all. You can question whether this is a reasonable stage in the buyer journey, but if you’re thinking it’s not, answer one simple question: Why do you cold call or cold email people who you don’t know and who don’t know you? The answer is you want to tell them about your company and your solution because you know they need it — even if they don’t know that yet. If everyone who needed to know about you was in an awareness cycle, they would be searching and looking for you. Inbound marketing would be the only type of marketing required. Since it’s not, there must be something other than awareness where interruption make sense. Specifically, if you’re going after people in this cycle, then your goal is to gain new contacts, not necessarily leads, sales opportunities or new customers. It’s a little silly to think you’d make one new contact and then have them sign a contract for $100,000 in new software in the same day. It might happen, but it’s not going to happen frequently. A better approach would be to consider that new contacts are going to need a long series of nurture touches to bring them along. To drive new contacts, the tactics and techniques needed include account-based marketing (ABM), strategic email, conferences and trade shows, speaking gigs, engaging content like thought leadership articles, and social media conversation starters. This is also where paid social advertising, remarketing or retargeting (when banner ads follow your potential prospects around the web) can be effective at grabbing the attention of someone not actively looking. All of the tactics above have one element in common — they are designed to introduce you to people who do not know you and are not looking for you. With the right message and story, you can get their attention and move them into the awareness cycle. OK, now that people know you exist and they know solutions exist for their issues, challenges and pain, most people start looking around for information. There is a difference between the awareness cycle and the education cycle (which we’ll talk about next). Awareness is a more casual cycle, meaning it’s more natural and less deliverable. Think about drifting down a river in a canoe without a paddle; you might get where you want to go, but you’re at the mercy of the river. For a lot of people, the awareness cycle simply means they are open and accepting of information related to the topic of concern. Their pain is not yet acute enough to move them more aggressively down the path toward a solution selection, but they are now openly accepting marketing, content, education and messaging related to their challenge. These people are the ones actively looking for you, your company, your products or services and the products and services of your competition, including any substitute options. They are the least educated on their options, only because they are early in their buyer journey. Prospects are going to make emotional connections with the companies they like. Two words to take away from that are “emotional” and “like.” Your marketing targeted to people in the awareness cycle needs to connect emotionally and get them to like you. To achieve that goal, consider these tactics. Your website is going to be a big part of marketing to people in this cycle. It must be found by people searching, so on-site SEO and off-site SEO are huge. The site must deliver an amazing experience and speak to prospects in their language, on their level and on their terms. It’s all about them and very little about you. AdWords and paid search advertising works in this cycle. People are searching for information, and if your site and your content do not come up organically, then you can get it to come up by paying for positions on the first page of relevant searches. Even if you pay to play, you still need strong messages, strong content offers and a great landing page to convert an anonymous visitor into a new lead. The content you create has to disrupt, emotionally connect and educate them in every way possible. We are talking about content marketing that should include highly targeted pieces by persona. Some people are going to connect with research studies, some prefer video and infographics, while others will want e-books or whitepapers. Your blog posts, articles you publish on other sites and social media posts are critical to bringing the right people into your world and onto your website. This is where conversion rate optimization, ongoing website optimization and search engine optimization all become critical to capturing people in the awareness cycle. These people technically become leads for your company. They might be MQLs (marketing-qualified leads) or they might simply be leads; the vocabulary and qualification criteria are up to you. One of the biggest differences between awareness and education is the desire to act. In awareness, your prospects could be casually responding to items that remind them of their issue or challenge. But in the education cycle, prospects are active. They are proactively looking to educate themselves as much as possible. Consider your own buyer behavior once you’ve decided to dig in and learn about something. You start searching, sign up for emails, subscribe to blogs, watch videos, read articles, consider attending conferences and, depending on the situation, might even purchase books or register for a webinar or two. You are clearly active in your attempt to learn. While you know solutions to your situation exist (you learned that during your awareness cycle), something triggered you to move aggressively into education. It could be your company has increased the priority on this initiative. Perhaps you noticed your competition talking differently, or you might be getting pushed by your clients or prospects to have answers to specific questions that in the past were asked much less frequently. Your goal is simple and straightforward: Learn as much as you need to learn so that you can be 100% confident in your ability to make a smart, safe decision on options to solve this specific challenge for your company. People in the education cycle should be considered marketing-qualified leads because they’re more than simple inquiries. They’re more important than just a new contact and their active nature means you have an opportunity to engage with them, help them during their cycle and start to emotionally connect with them. Search is a tactic that works well for people in the education cycle. People are looking for information, and you should be easily found on both organic and paid searches, including any searches on social media, directory sites, or related sites like LinkedIn groups or industry sites. In fact, any place people would go for information, it should be easy to find you and all of your relevant educational information. This surfaces an important point. Considering the prospect’s cycle, publishing company information or product information does nothing to help the prospect with their reduction initiative. This is why we constantly guide our clients to create as much educational and thought-leadership content as possible. The more helpful your content, the easier it is to engage with prospects during this important cycle. Other tactics include email marketing, so that you’re able to continue educating prospects even when they are not spending time on your website. Speaking of the website, this must be the hub of educational content. It needs to be easy to navigate, and you have to publish frequently enough to have them come back regularly to see what’s new. Your blog fills a leadership role here. By regularly publishing educational content, you can keep your prospects engaged and enlightened. Overall, being found in all of the right places and continually creating highly educational content in a variety of formats is going to help you strategically engage with prospects who are in the education cycle of their buyer journey. The result of education is almost always going to be creation of a direction forward. People might decide to wait, build their own solution, hire someone instead of buy something or even do nothing. But if you’ve influenced your prospects effectively during the education cycle, then they should have emerged with the idea that they’re going to look at several potential suppliers, partners or vendors that have solutions. You would be included in that process, but that’s the next cycle. Once a prospect moves into the consideration cycle, it’s almost always the move that triggers the hand-off from marketing to sales. Most of the leads in this cycle are sales-qualified leads, meaning they are deep enough into their own buyer journey that they need to engage in personal contact with your sales team. To be more specific, if during education they made the decision to hire an outside company, then they’ve also looked at the potential companies available and, in most cases, have narrowed it down to a handful. To wrap up the consideration cycle and move into evaluating the full solution, they’re going to need information that is not typically available via public-facing sources, like your website or a directory. Therefore, requests to speak with salespeople, or prospects completing compelling offers, signal a move from education into consideration. The executables that need to be in place to support the hand-off from marketing to sales, the transition from education to consideration and the prospect’s buyer journey requirements in the consideration cycle all start with your sales process. This is the first time your prospect is interacting with sales. The sales experience is critical to continuing any “know, like and trust” that has been built during the interactions with your marketing content. But if your sales team starts the high-pressure sales tactics, this is all it takes for the prospect to flee. The part of the brain that controls the buy impulse is also the part of the brain that controls fight or flight and your innate ability to stay safe. Execute your sales process incorrectly and your prospects will flee. 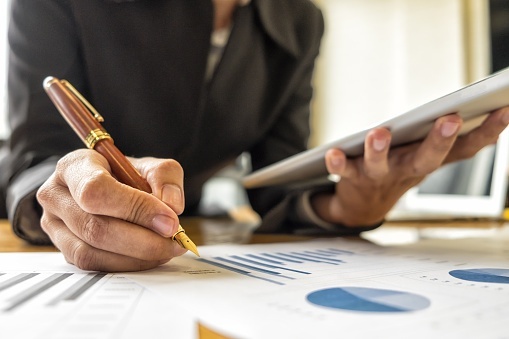 While your sales process provides the road map to a remarkable buying experience with your company, other tactics are required to support this process. You’re going to need content in context. Your new sales-qualified leads are going to share their challenges, concerns and questions. You need content that answers those questions and assuages those concerns, such as videos, case studies and success stories. You’re also going to need email and lead nurturing campaigns. To understand the importance of nurture campaigns at this stage in the buyer journey, you have to understand the cycles and the cyclones your prospects are stuck in. They talk to you and hear 50% of what you say. They might be distracted, they might not have understood everything you said, or they might have misinterpreted some of what you said. Now your conversation is over, and they’re talking to someone else who is telling them the opposite of what you just told them a few hours ago. They remember only 50% of this new conversation. After that, on the way home, they spoke with their brother, who gave them a third perspective. Later that evening, they read an article that introduced another new concept. The more information they acquire, the more confused they become. The more uncertain they are, the more unsafe they feel. Is there any uncertainty around the chaos associated with most purchase decisions today? The amount of information, the easy access to information, and the number of people acting as experts and publishing information is unprecedented. It’s no wonder our prospects are confused and feel like they’re in a cyclone. Your job, and where nurture plays such an important role, is to continually work to bring your prospect back to your line of thinking. You need to continue the conversation and stay in touch with your prospect even when you have no meetings or calls scheduled. Sales experts say time kills deals, but it’s not really the time. It’s the information that your prospect is exposed to over that time that kills the deals, and today, that information is a torrent. Your nurture, email marketing, invitations and strategically designed touch points all throughout the sales process should be orchestrated to never leave your prospect unattended for more than 48 hours. The trigger from consideration into the evaluation cycle is the decision to finalize the short list. Your prospect has decided to evaluate the three top providers or perhaps created their own list of potential solution providers. Regardless, it’s time to dig deep and evaluate the finalists with the goal to make a decision on one. This process can be short and take days, or it can be elongated and take months. Typically, this has a lot to do with the size of the purchase, but it also has to do with the corporate culture and purchasing process already in place. For example, if you’re buying an $80-a-month POS system for your restaurant, you might need a month to narrow down the list to your top three options and another week to choose one. If you’re buying a $100,000 software package, you might need a few months to settle on three viable options and another 60 days to work through all of the evaluation steps designed in the procurement and selection process. Your job as the revenue experts (sales and marketing execution specialists) is to understand that purchase cycle and design your sales process to support your prospects’ decision-making matrix. This is where your sales process is going to have to shine, because evaluation is usually a sales lead activity. There might be a proposal being created or a presentation deck being drafted. You might need pricing and delivery options. The team is probably going to need to engage here. All of these touch points and experiences need to be tightly orchestrated and deployed to help your prospect know, like and trust you, and to help them feel like your company is the safe choice. We’ve discussed email communication, content in context and the sales process, but we haven’t yet covered advocacy and how you proactively get your current customers involved in this stage of the buyer journey. This is typically where having references, reviews and a long list of happy clients who are more than willing to be advocates for your company becomes critical to helping your prospect feel like you’re going to be able to deliver on what you say. This often overlooked and critical advocacy marketing deliverable gives prospects the social proof they need to continue trusting you. While they might not ever fully believe what your sales team says, they almost always believe what your current customers have to say, and by activating them during this evaluation cycle, you can increase close rates and decrease sales cycles dramatically. Now that evaluation is over... wait, is it over? No, it’s not over. People make business purchasing decisions, not businesses. That means when you understand how people make decisions, you quickly realize that they make most of their decisions emotionally first and then rationalize those decisions later. In all of our previous conversations around how people buy, we only talked about emotional aspects (knowing you, liking you and trusting you) and how they have to feel safe. We didn’t talk at all about the rationalization aspect of the buying decision. But this is a business decision that involves business people. You probably could have guessed that rationalization and the tough questions were going to come into play at some point, and here they are. Your team must be ready to deal with these, and an even better plan is to strategically work this cycle into your own revenue generation efforts. This cycle is important because it introduces some of the uncertainty associated with the buyer journey. One of the biggest uncertainties is this: Who’s making the final decision? You’ve been told it’s the VP, but after they select you, they break the news that the VP (who selected you) has to present to the CEO or the board. Heard that before? Now that we selected you, help us with our business case. Heard that before? Help us justify the investment by creating an ROI on your work. Heard that before? Plenty of other additional rationalization steps can come into play during this cycle. Let’s start negotiating price; what kind of discounts can we get? We want to add some product or services to what you recommended, but we can’t spend more; can we get it for the same price? Here are a couple of additional comments that should also resonate. Can you start tomorrow? Even though they dragged out their process for months, they want to hurry up and get going now. They want to work with Mark, even though they were told Mark might get assigned to another project if they waited. A ton of rationalization hoops have to be jumped through to get the new customer deal done, and most of these won’t even surface until the end of the process. This cycle is rarely called out, and we identified it specifically because it requires a specific set of marketing and sales tactics to help you keep this short and to help you manage prospects in and out of this cycle quickly. You’re going to need content to push up into the top of the organization. This content should be targeted to the C-suite or the board, people who have not heard your entire story but still need to understand the CliffsNotes. You’re going to need ROI models, ROI tools and business cases to share with the CEO and the board. You should have additional references prepared in case they want more. You should have high-level overview presentations that you’re quick to provide and even quicker to facilitate. You always want to be the one telling your story. Leaving your story to others (even to your champion) introduces risk that they might get it wrong, make a mistake or leave some important element out and torpedo your new customer deal at the last minute. You might need an internal communication plan, an internal email campaign or a leadership team workshop product that you introduce and offer during this stage of the buyer journey. If you can get everyone on the same page during a workshop, the rest of the rationalization steps should fall into place more quickly and more easily. “Good news, I hope.” This was an actual quote from a prospect letting us know we won. Why the “I hope” comment? Because she was feeling the stress of the elongated process and perhaps wondering if we were still excited to have them as a new client. We were, of course, but it makes the point: This is a long and tedious process. But you’re not done yet. You can’t book the revenue yet, because hurdles remain to get your paperwork signed. Your goal in this cycle is to reduce friction as much as possible. If you provide a 20-page legal contact and say, “sign here,” you’re creating friction. Your prospect has to send it to legal and might even start to wonder if you’re going to be hard to work with because of all the legalese in the contract. Some companies wait until this state to check references. If references are hard to come by or slow to materialize, your new prospective client could get nervous. The client is going to want answers to questions related to onboarding and next steps. If you don’t have answers to those questions, or if you don’t have processes and systems to make this part of the new client experience exceptional, you run the risk of derailing your entire effort. While not many marketing-related tactics can make this cycle spin more efficiently, many sales-related tactics can help. Create content that talks about onboarding, so their questions are answered before they ask. Make sure your contracts, agreements or proposals are free of jargon and as legally simple as possible. You can take steps to dramatically shorten this part of the sales process. You worked hard to get this far, and it’s likely that your team invested a lot of long hours. 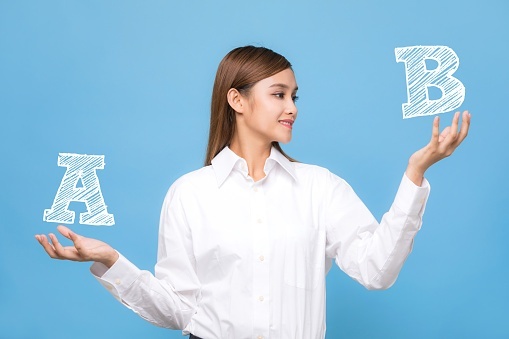 No one has an easy time getting prospects to say “yes” when you’re talking about long sales cycles, complex sales and high-ticket averages, so don’t blow it at the last minute by making some of the mistakes we outlined above. If you’re having trouble closing new clients at the back end of your process, or if you’re losing deals in the decision-making cycle, you can apply quick fixes and upgrades that often have an immediate impact on revenue. It’s one of the first places we look to add value for clients. You got the deal; your prospect signed your contract and the revenue is booked. Congratulations! But in today’s 100% transparent business world, how you deliver your products and services is equally (if not more) important than how you get your prospects to say “yes” to your sales team. In our research, we’ve found that fewer than 50% of new customers buy the full suite of offerings initially, which means a need for the land-and-expand strategy to kick in — and that requires marketing campaigns. The tactics that drive revenue from current customers include advocacy marketing, email marketing campaigns, content offers designed to introduce current customers to new products or different products, and ongoing email marketing to keep customers feeling part of the community. Educational content and nurture campaigns should never stop, even after prospects become clients. As you start to look at your own marketing and sales tactics, our research and experience has also proven no best practices, templates or universally applied tactics are guaranteed to work. Every client, every company, every set or products/services and every prospect persona is different. That means every program is different in some way. The delivery cycle is one of the most overlooked and underused stages in the prospect/customer life cycle, but it should be one of the most orchestrated, designed and continually optimized. This is also going to mean collecting customer feedback on their experience at regular intervals. It means measuring the feedback, acting on the data collected when appropriate and sharing that feedback across the entire organization. Revenue isn’t always from new customers. Instead, look for a healthy balance of revenue from new and existing customers, and make sure your marketing and sales orchestration is equally balanced to take advantage of new relationships with current customers. The ideas, examples and stories included here might seem strange to some of you. Terms like pre-awareness, infinite delivery and rationalization might seem out of place, not necessary or even overdone. But after years of research, experimentation and observation, the team at Square 2 Marketing feels strongly that the old concept of the funnel is no longer applicable when compared to how people make purchase decisions today. In the wake of that vacuum, something has to take its place. 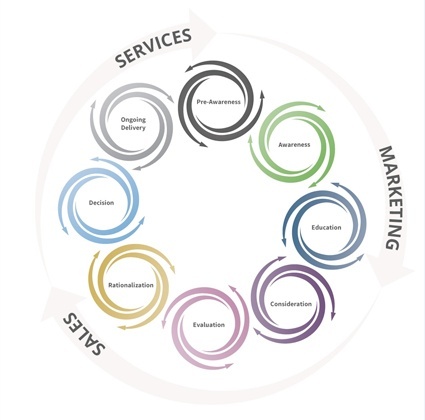 The cyclonic buyer journey model™, the various cycles your prospects find themselves in and the massive volume of content that is influencing them while they’re in those cycles should be a big part of the new thinking associated with how you will want to execute your sales and marketing in 2018 and beyond. Consider it as you start to look at why your marketing and sales is not producing the results you expected when you did your 2018 plan back in November. With some subtle and not-so-subtle adjustments along the lines discussed here, you’ll quickly produce the kind of improvements that should open your eyes to adjusting the entire approach before long. Start Today Tip – This idea of a new buyer journey and a need to restructure, rethink and redeploy marketing and sales tactics to align with the new buyer journey is a big undertaking. It’s probably going to take some discussion, some conversation and some alignment within your organization. Your tip for today is to get started with those conversations. Come up with the list of upgrades, adjustments and additions required to get your marketing and sales reconfigured to take advantage of the confusion and chaos your prospects are experiencing. Once you have strategic alignment and a list of prioritized upgrades, the rest should fall into place and, over time, you’ll have the orchestrated and strategic experience that produces a scalable, repeatable and predictable revenue machine. 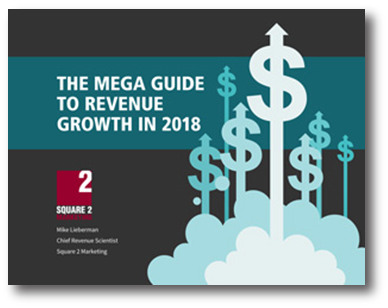 Square 2 Marketing – Revenue Is Earned Through Experiences, Methodology And Insights!